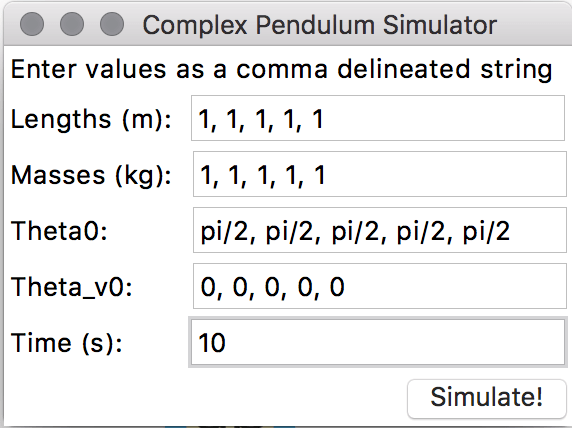 For our Mechanical Dynamics final project, a friend and I decided to generalize the equations for compound pendulums to write a simulation program that could generate animations for n-link compound pendulums with user specified lengths, masses, angular displacement and velocities. We originally wanted to write a full blown physics engine, but quickly realized that two weeks was not enough time to do something of that scale, haha. Read our final report for a more formal/comprehensive explanation of the process! These were the parameters entered in the GUI. The 5 links are identical, each with a length of 1m, with a mass of 1kg. The initial thetas are relative to the previous pendulum. 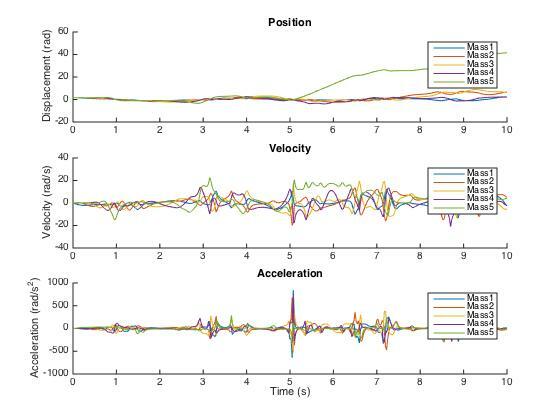 Our program also automatically generates energy and position/velocity/acceleration graphs. 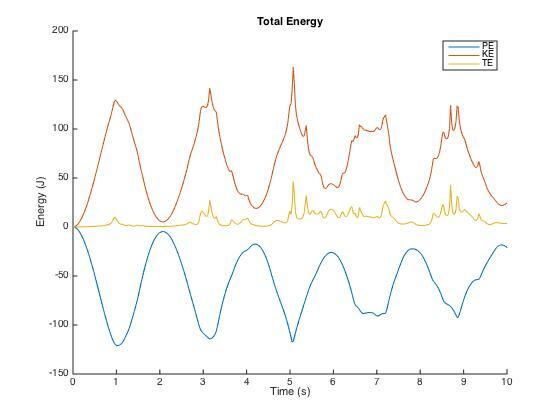 The energy plots. Note how the potential energy (PE) added to the kinetic energy (KE) results in a mostly flat total energy (TE). It shows that barring calculation errors, our program is conserving energy correctly. Now, how did we manage to do such a cool thing? In order to simulate a compound pendulum, we first had to fully understand the equations behind a simple pendulum. In a simple pendulum, we ignore the mass moments of inertia and only worry about gravity and tension. Take a look at my post about the equations of motion of simple pendulums for a more detailed explanation. To move from a simple pendulum to a compound pendulum, we first have to recognize that the core difference between the two is that we must worry about the mass moments of inertia in a compound pendulum. We are no longer treating the pendulum as a mass attached to a string, but as a rectangular bar. 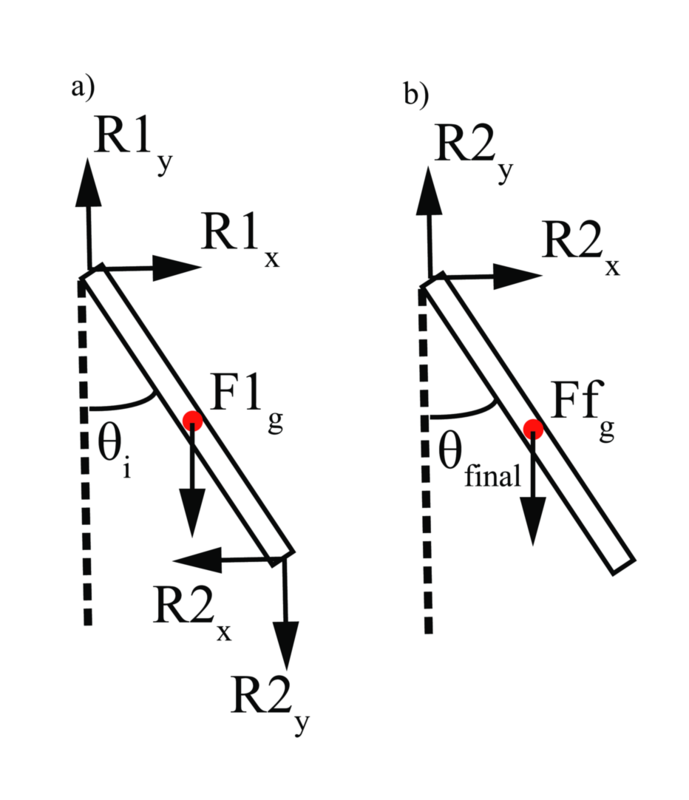 Three link compound pendulum, each red dot represents the respective center of mass for each bar in the pendulum. Each link also has its own rotation frame relative to the inertial i-j-k frame. And ecetera for any future links to this pendulum. Where m is the mass and L is the length of the bar. Free body diagram of two example links in our compound pendulum. 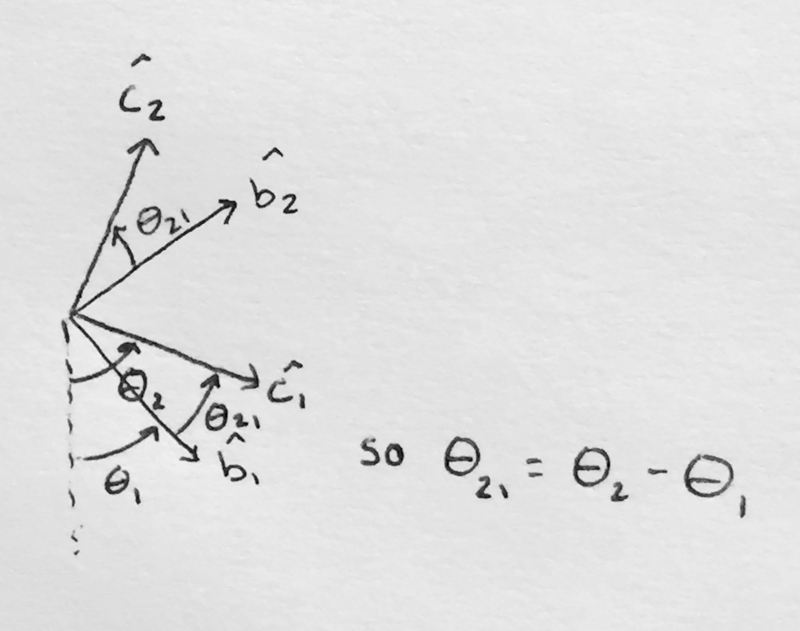 Working through all this math, we observe a pattern that every pendulum on the link is basically the same and because each has a reaction force on each end, and a theta relative to the vertical 0. The pendulums are connected by the reaction forces, as one can see in the free body diagram above, where R2 is on the bottom end of pendulum 1 and the top end of pendulum 2. 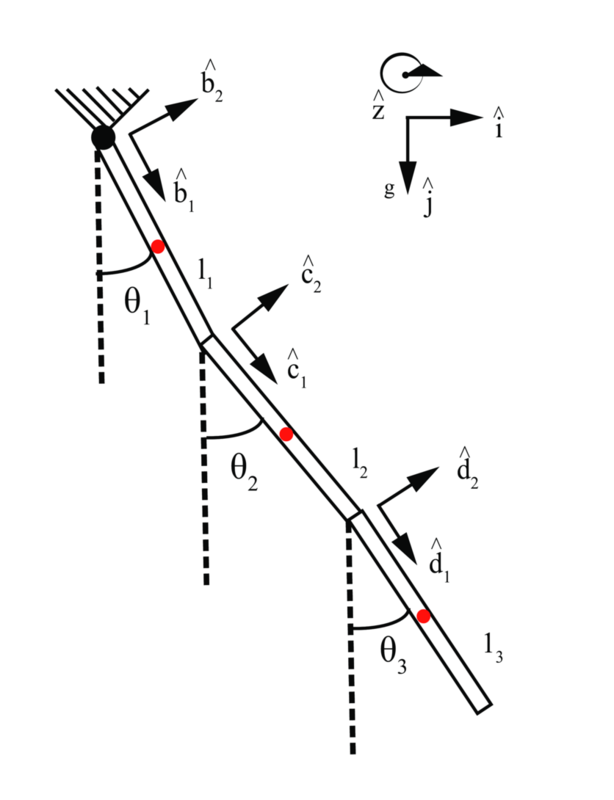 Which we then used as our basis for our N-case pendulum program. All in all, this was a super fun project. I never thought that pendulums could be so exciting, but being able to tie this all back into a coding project was pretty awesome! Would you happen to know how to solve for the equations of motion for the same n type problem using the Lagrangian Method instead? To clarify, instead of the newtonian method you used? I don’t know off the top of my head what the solution will be. 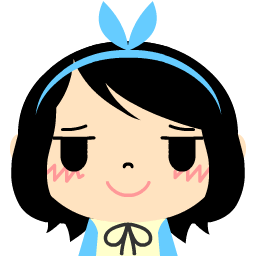 However, I have a couple of gut feeling directions towards a solution? Hi Sophie. Thanks for responding, I really appreciate it. Our problem is a little different than yours. In ours, we are assuming mass less rods, with a point mass on the ends of each one between the different segments of the pendulum. 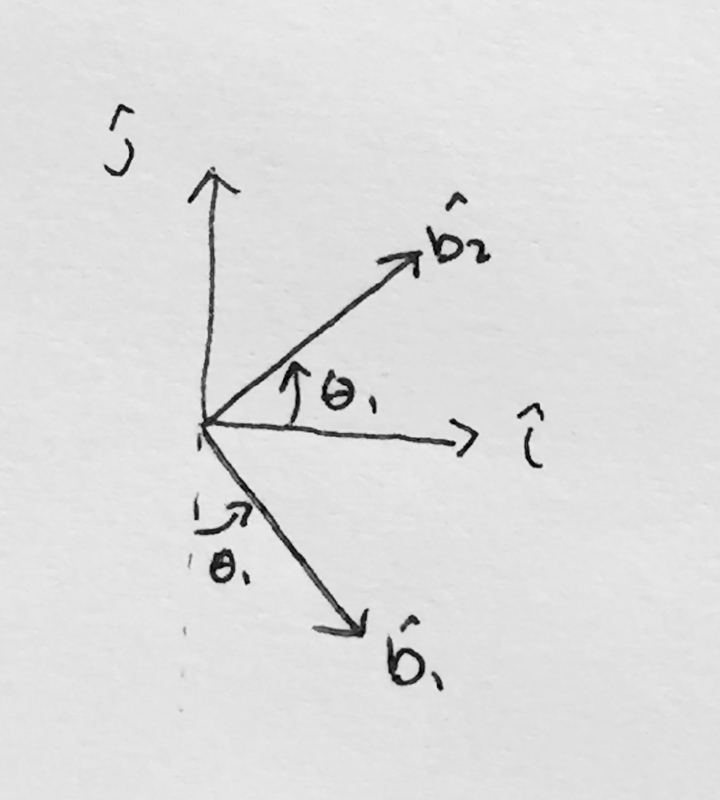 Would you be able to help me find a generalized form of the Kinetic Energy of the system, and to the extent, the Lagrangian of the system?